The Fellowship was fortunate enough to obtain a copy of RIVERS OF LONDON: BODY WORK #1 from Titan Comics. Ben Aaronovitch and Andrew Cartmel write, Lee Sullivan draws and Luis Guerrero colors. A BMW has ended up in the Thames, taking its Irish banker owner with it. After getting a tip from one of his usual sources, Peter Grant shows up to investigate. He’s the guy the Yard calls when the supernatural is suspected. In this case, there’s something about the car’s engine that doesn’t feel right. So Grant and one of the case detectives track down the guy who last repaired the car, and they walk right into another magical car problem. This title is set in the world of the popular UK urban fantasy novels, and picks right up where they left off. Grant seems pretty comfortable working outside the normal police process, working more closely with his supernatural contacts. But he’s still a cop, and it’s still a cop story, so there’s a frame of familiarity despite the magical twists. The art in this book really captures detail well; the cars, for example, are beautifully and accurately rendered. So if you’re looking for a cool police procedural story with a twist, this is the book to pick up this week. And it’s a great setting to boot. 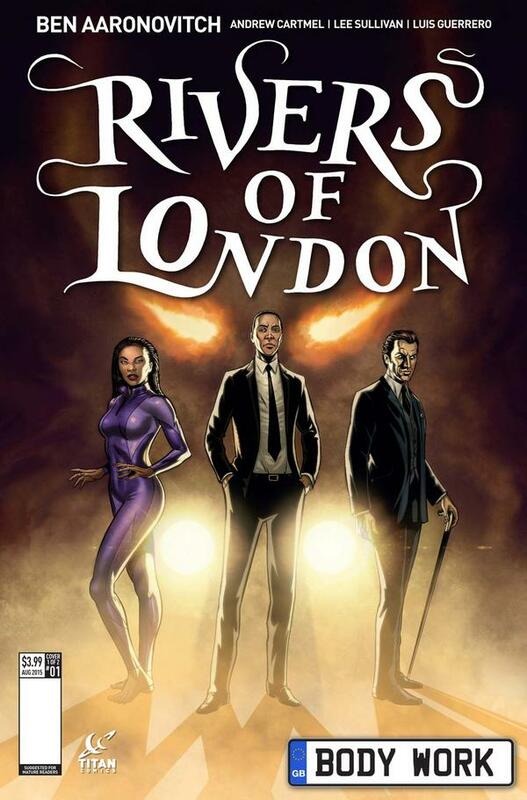 RIVERS OF LONDON: BODY WORK #1 is available now at your FLCS or at titan-comics.com.